Baby Brands Direct is a leading UK wholesaler and distributor for many multi awarding winning global baby, nursery and toy brands. The Company stocks over 80 brands offering retailers access to supply of approximately 2,500 product lines from its own on site warehouse. Great perks such as loyalty credit, volume discounts, ongoing promotions and a strong after care service are available to all retailers as well as help with specific packing or paperwork requirements. You can read more about us and view our corporate video below. SALE Page with new monthly discounts each month from leading brands including Philips Avent, Tiny Love and Tommee Tippee. Frequent online competitions where you can Test Your Knowledge and win some great in store offers worth up to £250. If all ordered quantities of items cannot be sent, new backorders over £40 will be kept and an e-mail notification sent for any product cancellations. Internationally recognised - Lindam is the nursery safety brand. They offer safety gates in a variety of materials, designs and styles to suit a wide range of custom at affordable prices. They stock equally recognisable and leading child home proofing solutions, night lights, safety reins and monitors. This is the brand to choose for affordable branded toys and nursery products. With highly recognisable branding and huge backing from KidsII; consumers can be assured of quality and babies of entertainment. The range includes teethers, toys, books, entertainers, bouncers and activity gyms. They are known for their superb high quality plush and wooden toys in traditional British children’s story characters. Their signature licences being Peter Rabbit and The Very Hungry Caterpillar with ranges including rattles, soft character plush, books, teethers, peg puzzles and cot mobiles. Oball is a niche brand within the international Bright Starts brand and is particularly popular in nursery environments. Its toy balls are made from a patented material which makes them flexible, smooth, easy to grip and safe from birth. They are available in a variety of bright colours often with rattles to captivate little ones. Baby Einstein is a rich brand with its products often taking inspiration from the real world including the ocean scenes and sounds. Music is strongly associated with the brand resulting in the majority of its products having enriching sounds enabling parents to introduce their child to different experiences in developmentally appropriate stages. Simple, traditional, high quality, beautiful toddler toys were the characteristics on which the Little Bird Told Me brand was developed. The range encourages creative and imaginative play for toddlers in contrast to new age technology toys. It is a high end brand that includes a stunning range of rockers ideal for gifting and special occasions. This brand is about one product invented to keep Mum’s modesty while breast feeding. It’s just like a normal vest but the top section starts below just below the bra line so that when breast feeding Mum’s post- birth tummy is not exposed to the world. This is a great confidence booster and endorsement of natural breast feeding for Mums. 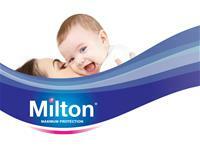 For over 60years Milton products have been used in hospitals as an advanced and most effective sterilisation method resulting in saving many lives. Their tried and tested formula is available in liquid, tablet and spray format and compatible with not only their own versatile baby sterilisation products. Munchkin is a loveable and very popular brand with consumers attracting over 100,000 Facebook fans! Their feeding and bath products are practical, in fun colours and at a great price. 2013 has brought the introduction of click lock patented technology to their cups and bowls giving a further point of difference. We work hard to negotiate the best offers for our retailers to support in store and online sales as much as possible. Press the 'Highlights' tab to make the optimal use of a mix and match of our offers, discounts and promotions to maximise your profits. The Promotions page is updated each week with new offers including a multiple purchase of something and receiving a free corresponding item, bundle deals, and extra percentages or money off at checkout. Most months we have a voucher code percentage off a brand ranging from 5% to 20% including regularly participating brands such as Lansinoh, Tommee Tippee, MAM and Earth Friendly Baby. The Sale page includes great offers from our nursery, toy and feeding manufacturers all incentivising efforts and floor space from dedicated independent retailers. Regularly offers can be found from Philips Avent, Tommee Tippee, Tiny Love and Bright Starts. Participate in the online Quizzes; not only will you learn but each correct entry goes into a draw with a retailer winning a significant prize each time. Baby Brands Direct works with leading brands and manufacturers with multiple awards to their name and is proud to have also been attributed awards voted for by the nursery and pre-school industry. It has achieved \'Best Wholesaler\' in 2012 and 2014 Nusery Industry Awards and currently a Finalist for \'Best Distributor\' in the 2015 Pre-school awards. There are various options available on how you place your orders online. You can browse through products by category or brand, and either click into a product or press the eye icon for a pop up of the item details or tick the 'compare' multiple products and then press 'compare product' to see details on each item on one page. In product details you can read about the product, view product images, watch video clips, view pack sizes, the Suggested Retail Price, trade price and view further volume discount pricing. Enter the quantity you require either whilst viewing the product details or from the overview page and press 'Add to Bag' or 'Add Quick Buy' respectively. The system will then put the item in your cart at the price in line with quantity bought and or promotion applied (excluding voucher codes which must be added on the checkout screen). Retailers can also use the 'Quick Order' tab which lists products in a gird which can be displayed by All, Previously Ordered and Favourites and then further filtered by brand, category or code. Retailers can the fill the grid with quantities required for products of interest and press 'Add Quick Buy'. Please note that all prices listed are trade prices and if VAT is applicable to the product and your store this will be displayed and applied at checkout. Please note certain products such as clothing are VAT exempt, others such as gift baskets may have a composite VAT rate. These products have a sign on them to highlight this. Export customers within the EU, with a VAT number will be exempt from VAT on all products but must provide a copy of this documentation prior to order placement. Retailers can download a price list in either PDF or excel format and information includes item code, description, pack size, trade price, barcodes and the manufacturers' suggested retail price. Simply click on the price list tab when logged in and select which price list you require; this can be filtered by brand and category. Customers are reminded that first orders must be over £200 net and that this will entitle carriage free shipping. On completion of the first order you will also automatically be issued with an account number which will have a prefixed BBD -it will be most helpful to quote this going forward in any communication and payments. All accounts are proforma and you can make payment at checkout or choose to pay by bank transfer. At checkout you will have the option to select a delivery address which can be the same as your invoice address or from any of your stored delivery addresses or you can type in any other unique delivery address at that point. In addition, there is a box available for you to enter your reference number and a box for any special instructions that we should be aware of e.g. your courier is collecting the order, packing instructions, unusual shop opening days/time. Baby Brands Direct offers a drop shipping service to registered customers and recommends this service for large or high value items that retailers cannot always keep in stock. As goods are dispatched, the retailer will receive an e-mail notification with the invoice and the tracking number will be detailed within it; the goods going to the consumer will be shipped with no paperwork. Please include the customer telephone number in special instructions if you wish for them to receive delivery notifications by text. Our product price does not change for drop shipping, but our administration, packaging and carriage fee is slightly higher than if you were placing an order to be delivered to your store. Carriage is quoted per delivery address and not per product but larger items like cot beds, dressers and wardrobes may be subject to a per box surcharge applied automatically at checkout. Please note we do not ship to BFPO addresses. Overseas customers are always charged carriage per box and the fixed rate will depend on the Zone your country falls in. Drop shipping is usual at a surcharge of £5 per box (in addition to the standard country rate). Retailers will automatically be charged for one box at checkout on which VAT is applicable. We will contact you for payment on additional boxes (if applicable) once your order is packed. Please note that we would advise against planning to sell items that are sold in pack quantities for drop shipping as we are unable to break down sets. If dispatched goods cannot be delivered by our courier (either because no-one was at home or the wrong address details were given), we will attempt to contact you before the goods are routed back to us. If they do come back we will need to re-charge for a re-attempt at delivery.